It’s a great game because no one really loses. 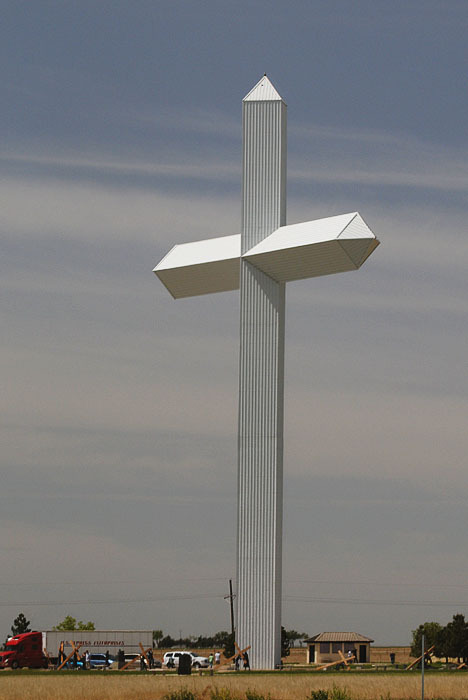 But yeah, had I realized that there was such an abundance of giant crosses in Middle America…that would have definitely been one of my road trip drinking game items. 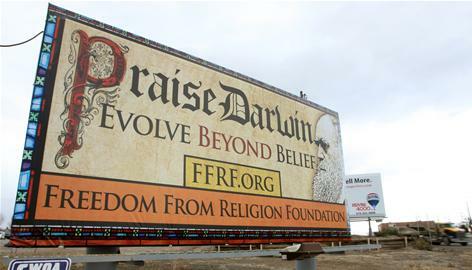 It’s funny because…that Darwin billboard was one of the first things I saw when I woke up this morning. (I roll over, open up my phone, check my e-mail, lament that I’ve received no e-mails, and then I click on random links provided by my mobile browser.) So I was like, WOW! Religious people are gonna freak! Then, my mom calls a little while ago and is like, “I found this poetry contest you WILL enter.” (She means business.) Then she adds, “If you want to.” She goes on to explain that it’s sponsored by the Christian Poets Guild… This so-called guild doesn’t seem to have a website, it just seems to advertise its poetry contests in small newspapers around the country, such as “The Eagle” out of Byron, TX, the “Hot Springs Village Voice” out of Arkansas, and my very own “Pennysaver” out of Western Massachusetts.